The 2015 Indiana GIS Day Conference will be on September 22 from 7:30 to 3:30 at the Indiana State Government Center South (302 West Washington Street) in Indianapolis. Anyone who plans, manages, or performs governmental decision-making is invited to attend. 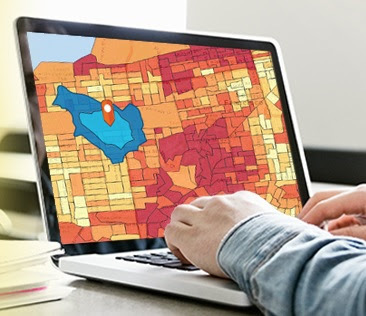 Participants can explore the innovative ways GIS is used to improve government operations. Cross-agency applications appear seamless when data is merged into a GIS, and GIS is used in state agencies to plan transportation projects, study flooding, emergency response, environmental programs, and promoting economic development. At the conference, participants can attend 18 different presentations, learn about the unmanned aerial systems in Indiana, and participate in eight optional ESRI Learning Lab sessions. A tour of the State of Indiana Emergency Operations Center will also be a highlight of the day. The conference is free, but registration is required. The registration deadline is September 19. For more information, please visit the GIS Day Web page or contact Amanda O’Daniel at the Indiana Office of Technology at 317-234-4111.